I have been busy of late doing Pulled Thread embroidery, & some Aemilia Ars Lace. I sometimes wish I could split myself in half so that I could get twice the work done! However while we haven't had much of a summer yet, all needlework & lace making is a welcome filler for the dull, cold days. 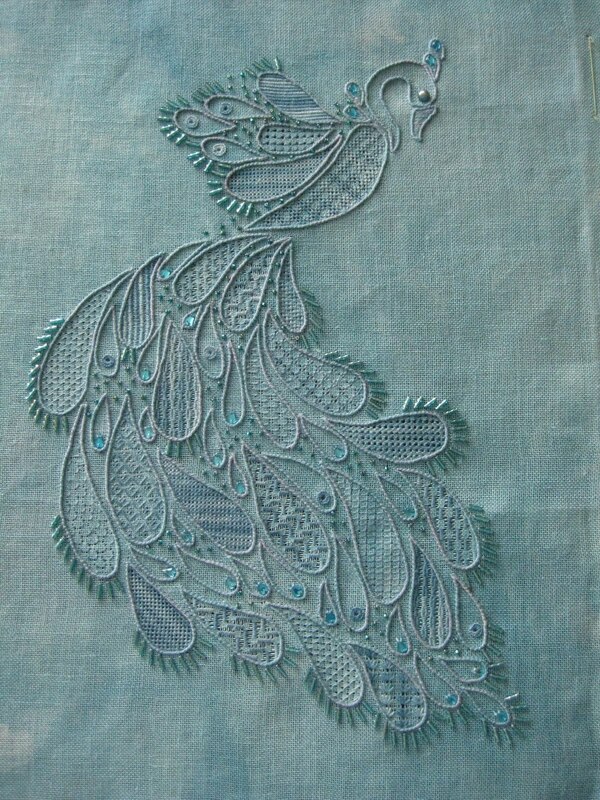 Here I have done a piece of Pulled Thread embroidery on a stylized peacock, with added beading for a bit of pizzazz. Any work for a peacock design is beautiful.. 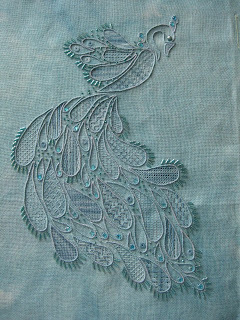 This piece is absolutely gorgeous.I love the delicacy of the design in the pale turquoise color, so unusual for pulled thread.